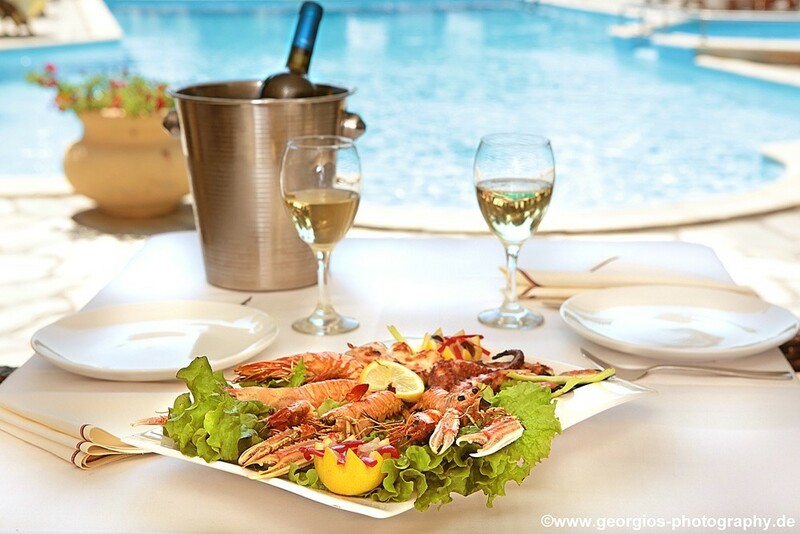 Hotel Vergos | Restaurant "Gousto"
Enjoying good food is synonymous with holidays. 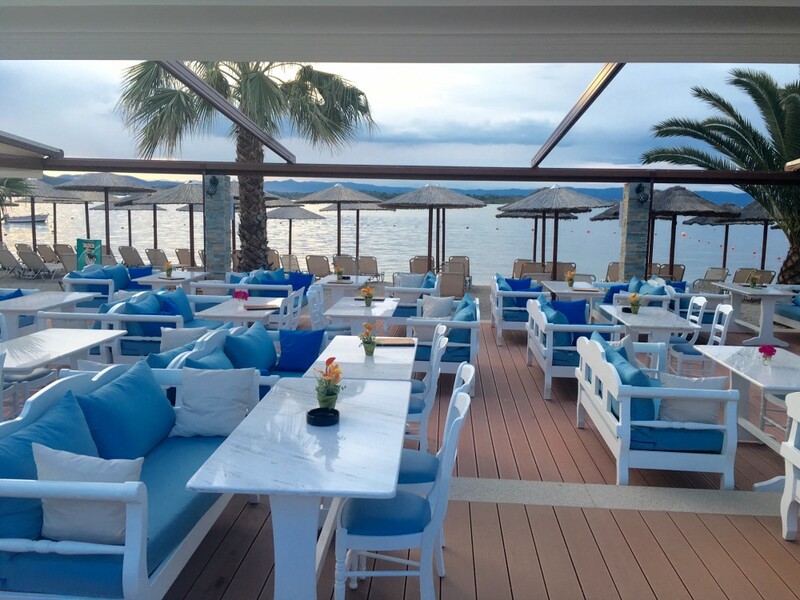 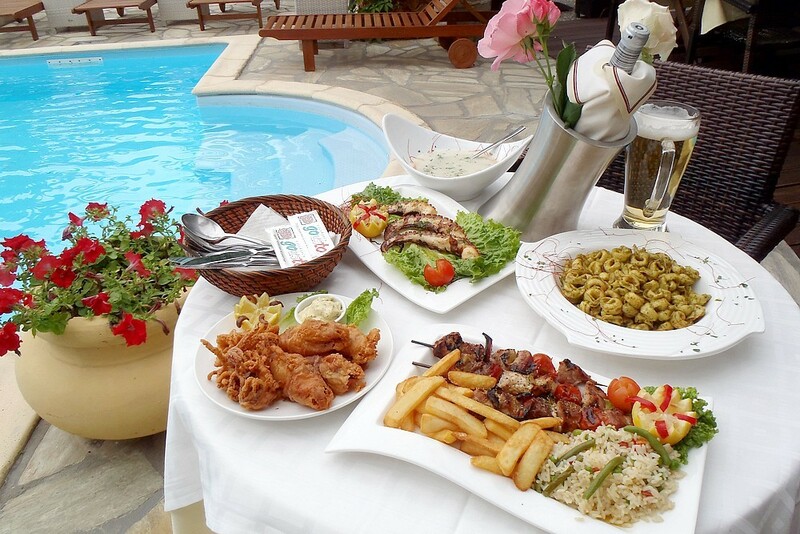 Hotel Vergos justifies the reputation of Greek cuisine, offering you quality options every moment of the day! 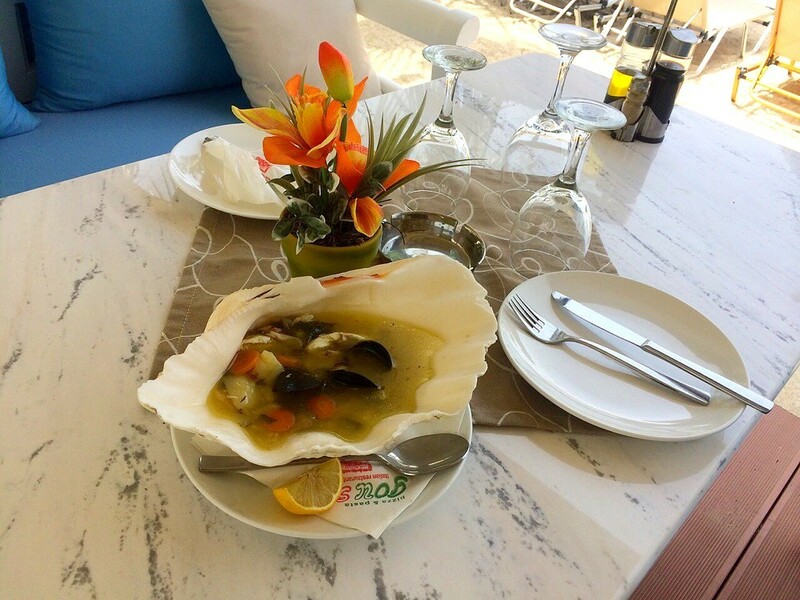 In our restaurant, "Gousto", you'll enjoy carefully prepared dishes from our kitchen, always with the freshest ingredients. 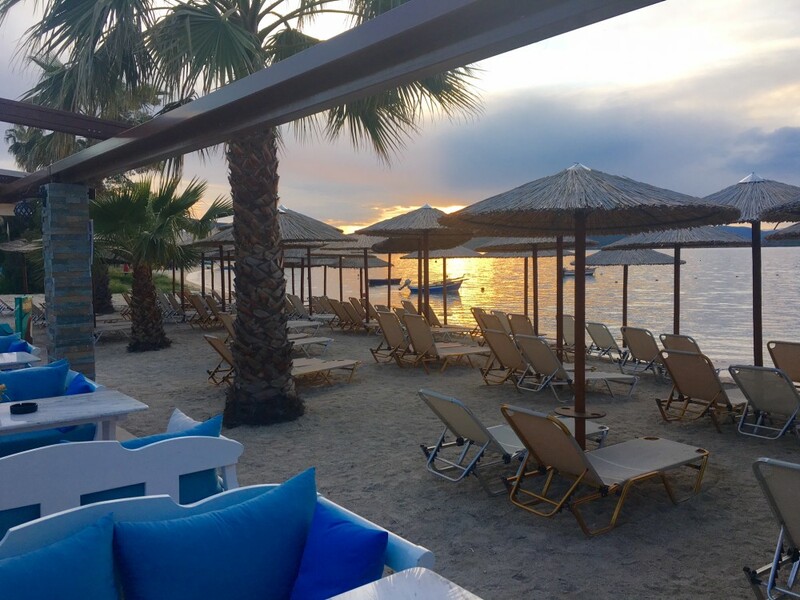 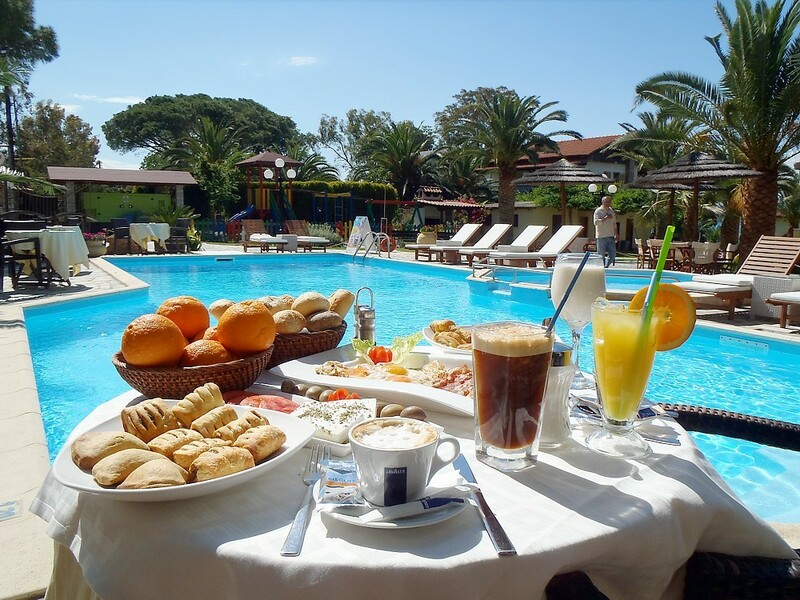 In the morning begin your day dynamically with a traditional Greek breakfast buffet, choosing between various savory and sweet flavors, fresh fruit and stimulating beverages! 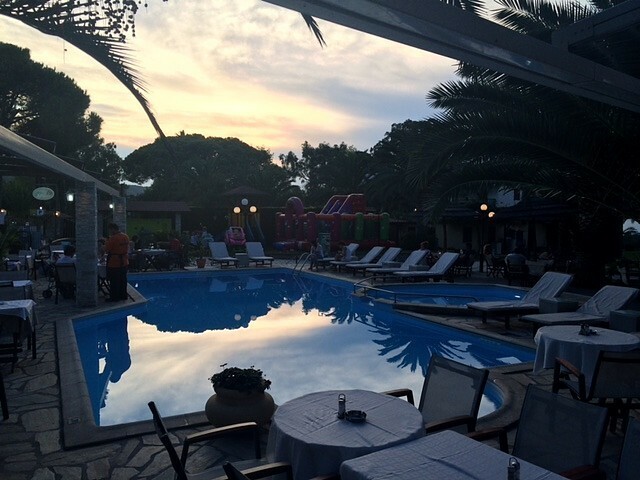 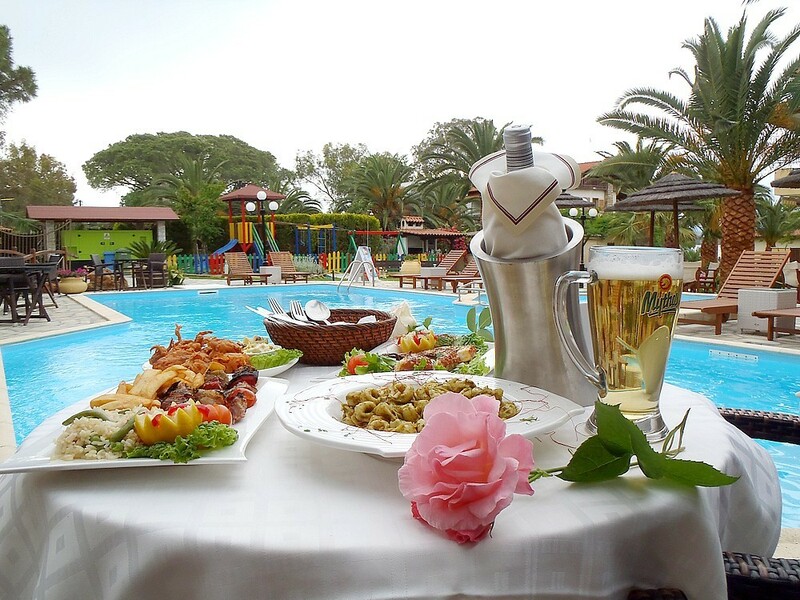 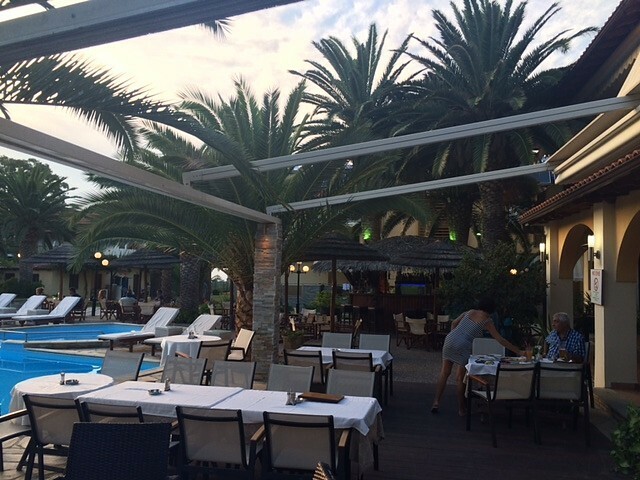 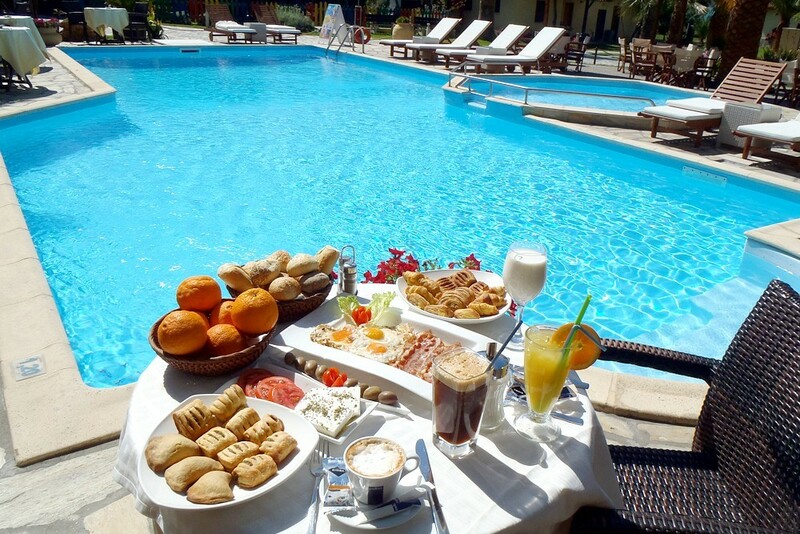 Next to the pool, in a cool and pleasant environment, is the famous Italian restaurant "Gousto" of Hotel Vergos. 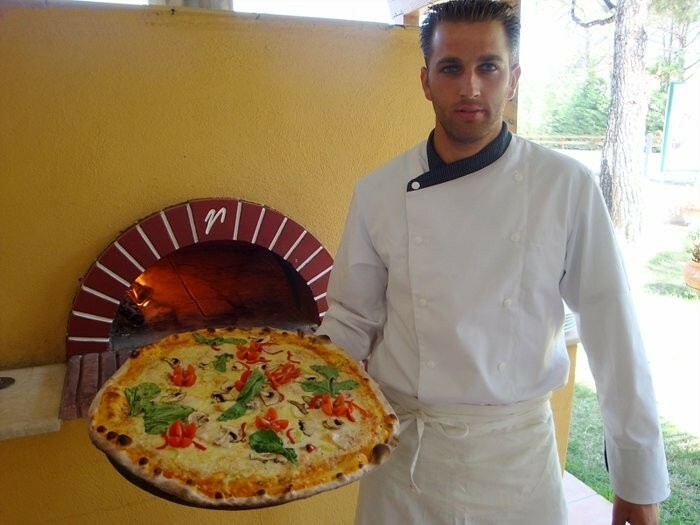 Here you can taste delicious dishes from Italian, Greek and International cuisine, made with traditional recipes and local ingredients, fresh fish and seafood, local meats, tasty pasta, fresh salads, the renowned gigantic "Gousto" pizza, various snacks and freshly prepared dishes of the day. 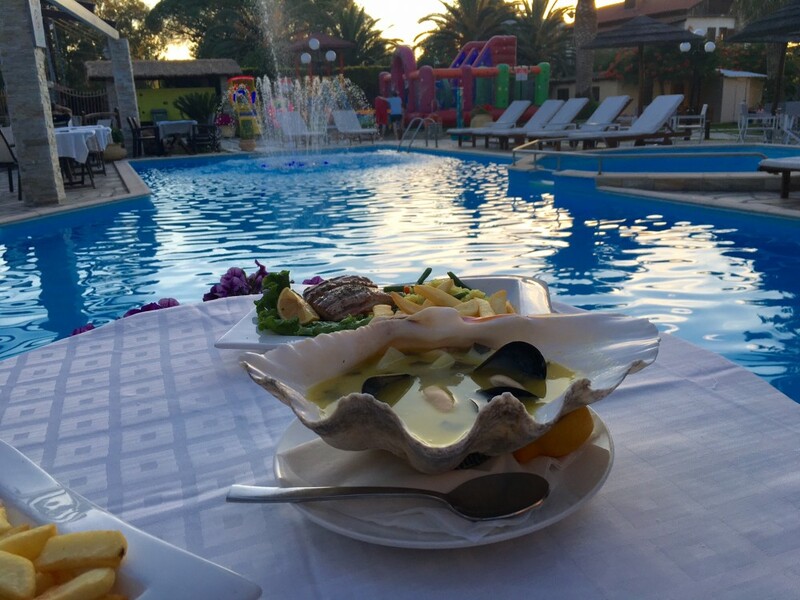 Set against the magnificent garden with palm trees and crystal pool water, marvel at the preparation of Italian dishes, through the open kitchen. 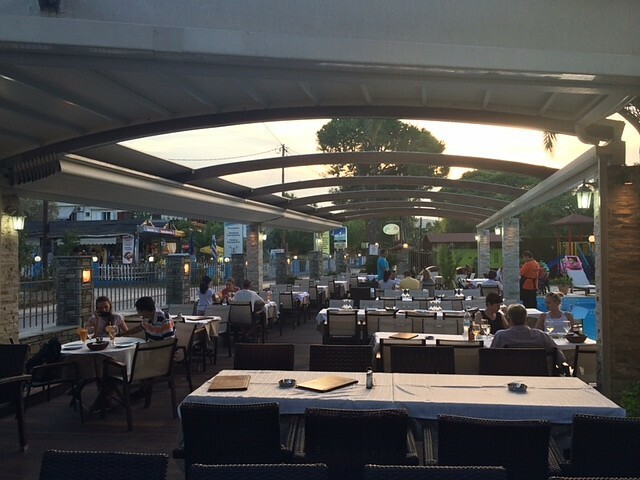 One of the best Italian restaurants, that combines Italian cuisine with the beauty of the natural environment on a unique journey of taste, with an emphasis on fresh fish, local meats and delicacies, while once a week we organize a Greek night for you with live music, traditional dancers and lots of fun.